The Office of the MARA is attached to the Department of Home Affairs (DHA) and administers the functions of the Migration Agents Registration Authority, as set out in s316 of the Migration Act 1958 (the Act). Consumers understand their rights and agents understand their obligations under the regulatory framework. The Office of the MARA also offers a Consumer Guide that sets out your rights, tips on using an agent and the profession, the functions of the Authority, the legislation regulating the profession, what a client can expect from a migration agent and complaint procedures. Our Australian migration casework is undertaken by in-house registered MARA agents both based in United Kingdom and Australia, which authorises them to provide Australian visa and immigration advice to potential migrants and businesses. Thames Migration is one of only 8 registered Migration Agents permanently based in London. See below our registered agents based in London, UK and Melbourne, Australia. The Migration Institute of Australia was established in 1992 and is the peak membership organisation representing Australian Registered Migration Agents. It is represented in all States and Territories in Australia and has an overseas Chapter based in London. Its membership comprises some of Australia’s most eminent registered migration agents and migration lawyers both in Australia and internationally. The Migration Institute of Australia is a not-for-profit, governed by a Board of Directors and operates under a Constitution and strict Corporate Governance Board Charter. The MIA is a member of Professions Australia. Similar members of Professions Australia include the Australian Dental Association, CPA Australia, the Institute of Chartered Accountants, the Australasian Institute of Mining and Metallurgy, Engineers Australia and the Institute of Public Accountants. In order to belong to Professions Australia members must abide by strict accreditation requirements and ethical standards and code of conduct. See below for details for Mr Hannibal Khoury our MIA Institute member and registered migration agent. Hannibal Khoury has been a founding member of the Migration Alliance (MA) for over 8 years. Who does the OISC regulate? Any person who provides immigration advice or services in the United Kingdom, has to be regulated by the OISC. All advisers are required to display their certificates of registration or exemption. 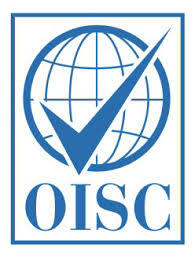 This, together with the OISC’s “global tick” logo, shows that an organisation has met the standards laid down by the OISC. What is Thames Migration’s relationship with the OISC? As an independent migration consultant, Thames Migration Ltd is regulated by the OISC (registration no.049463 ). For more information, please visit the OISC.